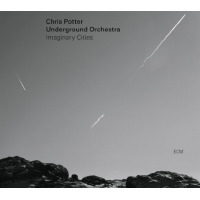 He's not exactly been quiet, performing with drummer Paul Motian's trio on Lost in a Dream (ECM, 2010), and continuing his ongoing relationship with Dave Holland, recently heard on tour with the bassist's flagship quintet at the 2011 Montreal Jazz Festival, but it's been two years since Chris Potter released Ultrahang (ArtistShare, 2009), his last date as a leader. Transatlantic ends Potter's recording hiatus, teaming the influential saxophonist with Denmark's DR Big Band for a brass-heavy set more orchestral in its approach than, say, Holland's groove-heavy big band. 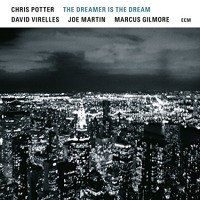 That's not to say Potter's years with Holland haven't rubbed off on his approach to writing and arranging this new repertoire, but despite Transatlantic's closer alignment to the big band tradition than the intimate chamber jazz of the saxophonist's Song for Anyone (Sunnyside, 2007), it shares a similar penchant for color that's equal parts Maria Schneider and Kenny Wheeler. 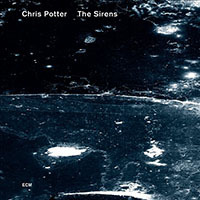 Still, this is propulsive music, the closing 11-minute "Rumination" revolving around a gently pulse from Søren Frost that opens into tumultuous but still groove-conscious free play from the drummer when Potter takes a muscular tenor solo that's boosted by the fourteen trumpets, trombones and reeds which punctuate in alternation, before a mid-section rest that leads to a burnished solo from trombonist Steen Hansen. 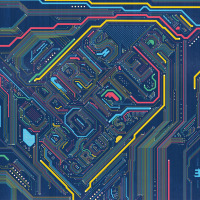 There are trace elements of Potter's electro-centricities on the knottily contrapuntal "The Steppes," with guitarist Per Gade flying from lithe, bop-centric lines to moments of harsher sonics and searing flights of overdriven abandon, but this is, for the most part, a brash and brassy acoustic big band date, driven by a solid rhythm section that, in addition to Frost, is unfailingly anchored by bassist Kaspar Vadsholt. Pianist Magnus Hjort is quietly impressive, going beyond the charts to provide spare but effective support during passages where the horns are silent and Potter is soloing over the core quintet as he does after Gade on "The Steppes," over a visceral 9/8 pulse driven by Frost's firm backbeat. It may be a challenge for some to maintain the kind of energy and inventiveness Potter does throughout Transatlantic as featured soloist, but his years with Holland and as an emergent leader have proven him one of his generation's few players capable of sustaining himself over longer forms. 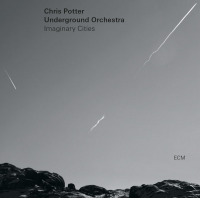 Unlike most big band projects, Potter eschews passing solos around the entire ensemble like batons in a relay, instead provide focused and lengthy features for four of its membersin addition to Gade and Hansen, Frost taking an ostinato-driven solo of tremendous drive and construction on "Abyssinia," while on the structurally complex "New Year's Day," trumpeter Mads la Cour serves as yet another potent reminder of the kind of talent hiding in so many corners around the world, just waiting to be heard. 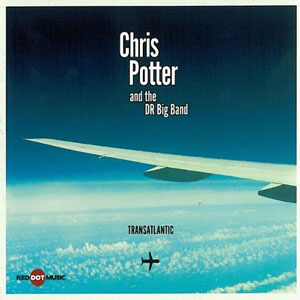 Transatlantic may wax heavy on the solo front, but it's always in service of Potter's detailed charts, which demonstrate continued growth as a writer/arranger. He may largely work in small group contexts, but Transatlantic proves Potter's increasing mettle as a leader in any context, as compelling for its long-form charts as it is its ever-perfect capacity to inspire expansive but always completely relevant improvisation. Track Listing: Quick; The Steppes; Interlude; New Year's Day; Narrow Road; Abyssinia; Totally; Rumination. Personnel: Chris Potter: saxophone, conductor; Anders Gustafsson: trumpet; Christer Gustafsson: trumpet; Thomas Kjærgaar: trumpet; Mads la Cour: trumpet; Gerard Presencer: trumpet; Vincent Nilsson: trombone; Steen Hansen: trombone; Peter Jensen: trombone; Jakob Munck: trombone; Nicolai Schultz: reeds; Peter Fuglsang: reeds; Lars Møller: reeds; Uffe Markussen: reeds; Pelle Fridell: reeds; Magnus Hjort: piano; Kaspar Vadsholt: acoustic bass; Søren Frost: drums; Per Gade; guitar.